You'll be surprised to know that there are Montreal apple picking orchards not far from the city. 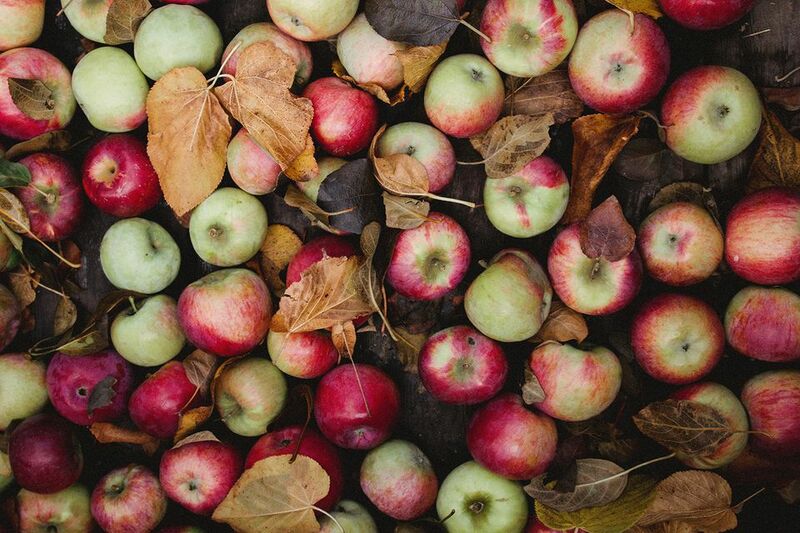 Apple picking season is an eagerly anticipated, popular fall activity in Montreal The season varies but usually lasts from mid-August to late October in Quebec. Dozens of orchards open their doors to the public. Apple hot spots east of Montreal like Rougemont and Mont St. Hilaire are renowned for their orchards, however, there's a risk of heavy traffic at these popular orchards called vergers in French (pronounced vair-gay but with a soft g like in "genre"). It can take 30 minutes just to get out of traffic and back on the road to hunt for an orchard without encountering a line of cars. If things get bumper-to-bumper, pick another direction. Consider trying out apple orchards at Frelighsburg and Dunham, both border towns southeast of Montreal. Or, head for St. Joseph-du-Lac's apple country on the North Shore with lesser-known yet picture perfect orchards. It's not always clear exactly where to go. There are quite a few orchards within one hour's driving distance from Montreal. The listing is divided into orchards east and southeast of Montreal and orchards north and northwest of Montreal. Au Paradis des Fruits is found at 519 Route 202, in Dunham. This family farm has been growing apples for over 55 years. Also featured is their natural honey produced on this 100-acre organic farm. In season, the farm invites you to pick berries. They offer a picnic area and children's playground. Apples are available pre-picked or spend time in their lovely orchards picking your own. Their Facebook page keeps you abreast of when everything is ripe for purchasing and picking. Also in Dunham, Domaine du Dunham is found at 4470 Godbout Road. The U-pick orchards consist of nearly 25,000 fruit trees. In season, they offer apples, crab-apples, plums, pears, grapes and (in August) peaches. Stop by their gift shop. It's a beautiful location and they invite you to bring a picnic. The old barn is available for events. Au Coeur de la Pomme is located at 42 Route 237 Nord in Frelighsburg. The farm has been a family-run orchard in Frelighsburg since 1982. You can purchase or pick apples. In addition, they are known for their house-made old-fashioned cider vinegar and jams, jellies, preserves, and mustards. Visit their country store and have a picnic by the Pike River. You can taste hard cider and bring home a bottle or two. The Cidrerie et Vergers Léo Boutin is located at A-710 Rg de la Montagne in Mont St. Grégoire. Their ciders have earned more than 30 Medals. In season, U-pick is available in their orchard apple as a fun family activity. It is also possible to tour the facilities and enjoy this mountainside location with a picnic. Pick apples, taste cider and indulge yourself at their creperie where you'll enjoy authentic Breton pancakes. They have more than 15 varieties of apple trees. The orchards are conveniently located right at the foot of Mont Saint-Grégoire at 575 Rang de la Montagne, Mont Saint-Grégoire. Their shop sells a variety of country products. 118 Chemin du Sous-Bois. A family business, the Verger de la Montagne is operated by the third generation of the Duchesne family. They have nearly 15,000 apple trees and, in season, they offer U-pick. At the store, purchase apple products and stay awhile to enjoy a picnic. Tours of the orchards are offered and they have a small museum. Verger du Flanc Nord at 835, Chemin Rouillard in Mont St. Hilaire offers U-pick apples and lots of fun things to do. Pick pumpkins for Halloween, enjoy pastries and taste a glass of cider on the terrace with breathtaking views of Mont Saint-Hilaire. They have won awards for their ice cider and have been producing it since 2011. Family activities at the orchard include tractor rides, farm animals, playgrounds, and picnic areas. 1130 Sir Wilfrid Laurier. Known for its apple orchards since 1930, the farm has modernized while not losing its traditional charm. Enjoy time in the orchards while you pick apples. They sell pastries, jams, and jellies and offer berry picking in season. Do a little cider tasting and visit their Red Deer farm. Verger Kessler is located at 1300 St. Paul Street in Farnham. You can pick apples and, in season, pears and plums. The shop offers apples and apple products. There are activities for the whole family and kids love the mini tractors and playground. Children can also visit and pet the farm animals and take a tractor ride in the orchards. A lovely lake with weeping willows shades the picnic tables. Orchards to the north and northwest of Montreal include La Magie de la Pomme (Magic of the Apple) at 925 Fresnière in St. Eustache. Everyone will enjoy entertainment, apple picking, tastings, and a tractor tour. You may even run into the orchard princess. The shop sells apple-related products, baked goods, and authentic maple syrup. At Bistro la Dent Sucree events you can enjoy a 7-course gourmet meal in a unique century-old barn. at 90 Lacroix. They are a certified organic orchard growing plums, pears, and apples. Spend a day in the orchards and enjoy their picnic areas. The children will enjoy the tractor ride and the playground. You can also shop for specialty food products and freshly-made juices. Les Vergers Lafrance is also in St. Joseph du Lac at 1473 Principale. They have many activities for visitors including a large cider house and distillery, U-pick orchards, and a farmers market. Over the years, this family farm has grown to become one of the largest orchards of the region. Children will enjoy the tractor ride, activities, and the mini-farm. Verger Richard Legault is located at 425 Binette St. in St. Joseph du Lac. The orchard offers U-pick apples. Visitors will find a kitchen, dining room and an apple interpretation center. There are also meeting rooms. You can have a meal there or take home a prepared meal. A beautiful view of Montreal can be had up on the second floor terrace. Interestingly, the farm produces some of the only Brussels Sprouts in Quebec. Les Fromages du Verger at 430, rue de la Pommeraie, features orchards and a cheese factory. All of the cheeses are made from whole sheep's milk. You can visit the sheep and pig pastures. And, of course, there is apple picking. Tractor rides and a children's playground keep the small ones busy. During apple season on the weekends, there is a small restaurant. There are picnic areas and a shop where you can pick up cheese and apple products.